Gulfside Elevator & Cab Interiors is your first choice for residential elevator design, manufacture, installation and maintenance services. 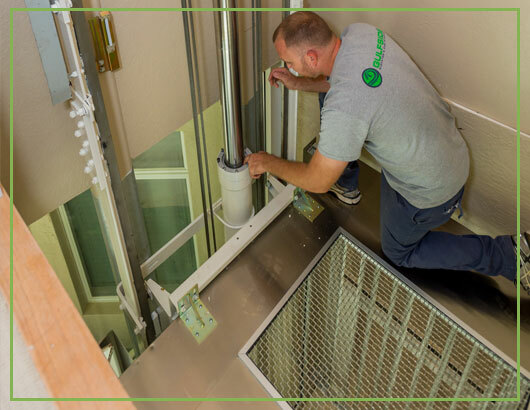 Whether your clients need a state-of-the-art elevator installed in a new construction property or they want to upgrade the interior of their existing elevator, we can provide the right solutions. Consider us your trusted partner for all your elevator needs in Naples, Marco Island, Fort Myers, Sanibel and surrounding areas. Contact Gulfside Elevator & Cab Interiors for more information about our products or to request service by calling us at (239) 643-0490 today. We look forward to providing you with outstanding elevator and cab interior services for your home or business. Give us a call today! SELECT A QUALIFIED HOME MAINTENANCE COMPANY THAT CAN PROVIDE AN ELEVATOR MAINTENANCE AGREEMENT WITH REGULAR EXAMINATIONS. SELECT A COMPANY WITH DIVERSE CAPABILITIES. Adding an elevator to an existing residence can be stress free. At Gulfside Elevator, we can design options for your clients. Whether the home has been prepared for a future elevator, has stacked closets for easy addition, can accommodate a pneumatic vacuum elevator or the home needs some modification, Gulfside can do it. SELECT A COMPANY THAT HAS WELL TRAINED TECHNICIANS. These are elevator experts who have been trained in the trade of elevator installation, maintenance, service and repair. Let’s face it, a home elevator is very different than a garage door opener – Gulfside Elevator manages this important safety asset in the home. No one wants to wait for the ice cream to melt in your elevator when it is stuck between floors. At Gulfside Elevator, we provide top quality service dispatched from our Naples headquarters to ensure your satisfaction. Our teams service Sarasota, Manatee, Lee and Collier Counties daily. SELECT A SERVICE COMPANY THAT HAS A SYSTEMATIC MAINTENANCE AND REPAIR PROGRAM. Make sure that they know exactly what they are going to examine before they come to your home. At Gulfside Elevator, the elevator’s history is communicated electronically to our field technicians to expedite servicing. WHEN LISTING AND SELLING A HOUSE, SELECT A COMPANY THAT EXPLAINS EXACTLY WHAT THEY ARE DOING AND CAN MAKE THE PROCESS WORK SMOOTHLY. At Gulfside Elevator, our showroom is just one way we can show you the quality of our work and the available choices in elevator interiors. SELECT A COMPANY THAT OFFERS ELEVATOR INSPECTIONS.